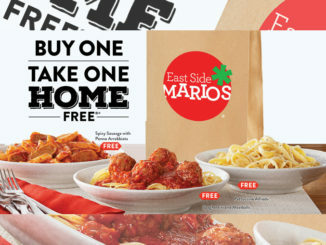 East Side Marios welcomes the return of its popular Italian Food Festival at participating locations across Canada through July 15, 2018. 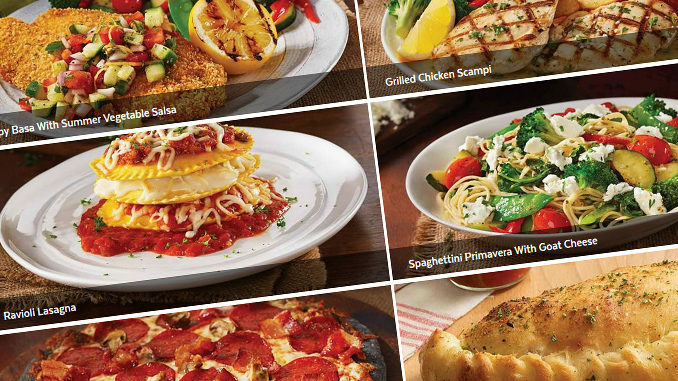 Starting at $12.99, this year’s event includes nine all new entrees, featuring the brand’s new Ravioli Lasagna. Every Italian Food Festival meal includes all-you-can-eat soup or salad along with garlic homeloaf. Ravioli Lasagna – Three giant ricotta-stuffed ravioli separated by layers of Mario’s signature tomato sauce, Alfredo sauce, more tomato sauce, and then baked with pizza mozzarella. Crispy Basa With Summer Vegetable Salsa – A crispy basa fillet topped with a cucumber and tomato salsa and served with seasonal summer veggies. Grilled Chicken Scampi – Grilled chicken scaloppini in a white wine, garlic and butter sauce. 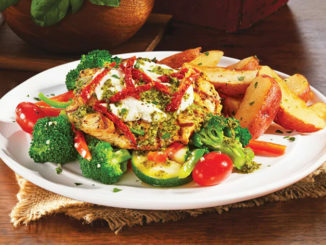 Served with Mario’s potatoes and seasonal vegetables. Spaghettini Primavera With Goat Cheese – A variety of gourmet veggies sautéed in olive oil with spinach, basil, sun-dried tomato pesto and topped with goat cheese. 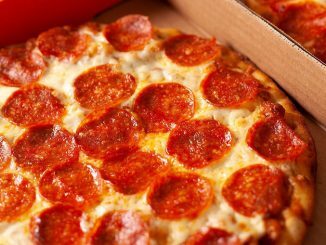 Ultimate Canadian Carbone Pizza – Light and airy charcoal pizza dough topped with Mario’s pizza sauce, pizza mozzarella, pepperoni, real crispy bacon and roasted button mushrooms. Oven-Baked Calzone – Italian sausage with pizza mozzarella, sun-dried tomato pesto, goat cheese, roasted button mushrooms and Mario’s signature tomato sauce. Baked Italiano – Genoa salami, prosciutto, pepperoni, caramelised onions, pizza mozzarella and our signature tomato sauce all baked on an Italian Spaccatelli bun. 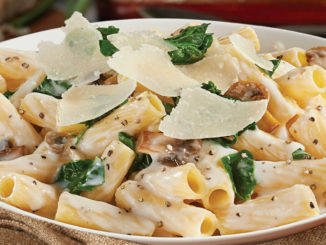 Peppercorn Alfredo Rigatoni – Pasta tossed in velvety Alfredo sauce with spinach, sliced mushrooms and peppercorns. Double-Bacon Pizza – Strips of bacon topped with caramelised onions and crispy crumbled bacon, of course. Garnished with green onions, peppercorns and Parmesan. Prosciutto-Wrapped Mozzarella – Six melty mozzarella batons wrapped with crispy prosciutto, resting on a bubbling bed of Mario’s signature tomato sauce and fresh bruschetta. Served with crunchy garlic crostini. Tiramisu Cheesecake – Served with chocolate sauce and a dollop of vanilla cream.